In too many organizations today, innovation isn’t happening fast enough. Within these businesses, skills are siloed and resources are misaligned. As businesses seek to speed innovation and meet their growth and revenue targets, they have to get maximum utility out of all their investments—including in the areas of IT infrastructure, product development and human resources. This buyer’s guide is intended to help those decision makers tasked with making this critical buying decision—focusing on the characteristics that help enterprises address both their immediate and long term needs. 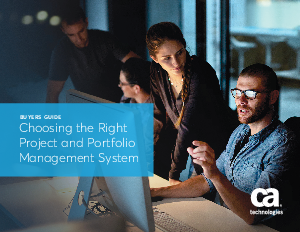 This guide shows how leveraging a PPM platform that delivers both top-down, strategic portfolio management, as well as bottom-up project management capabilities, helps organizations maximize their ROI over the long term.